Enjoy modern technology wrapped up in nostalgic charm with this AmazonBasics Vintage Bluetooth Speaker. 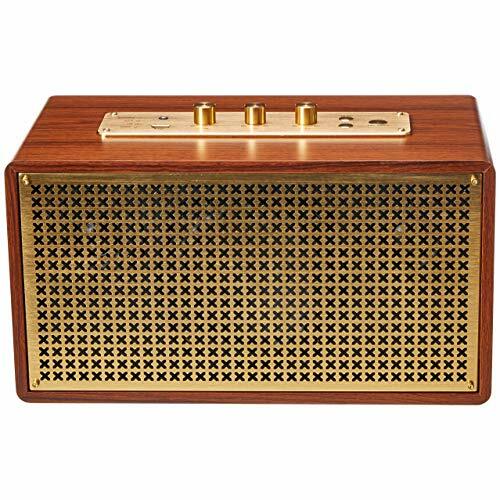 The speaker provides sleek retro style—reminiscent of the days when families would gather around the radio after dinner to listen to the news and old-timey tunes. 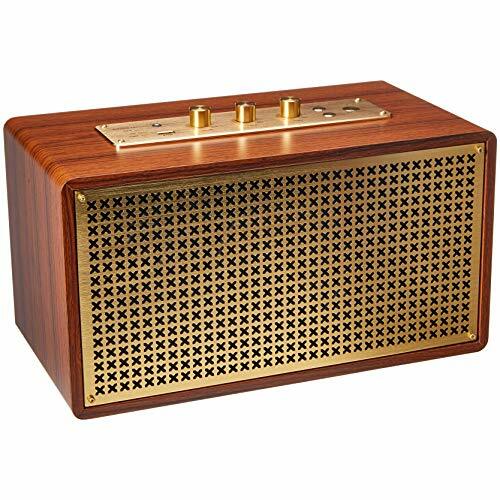 Beautifully housed in wood with polished gold-tone metal accents, the speaker makes a notable addition to any living room, family room, or kitchen. 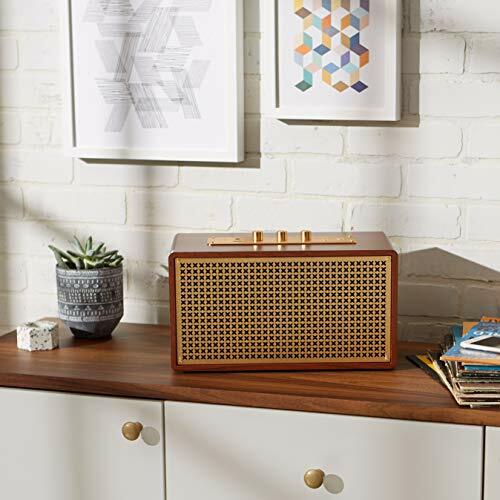 More than just a conversation piece, the AmazonBasics speaker’s vintage vibe delivers stereo sound that ensures all your favorite playlists come through crisp and clear. Ready to rock out? 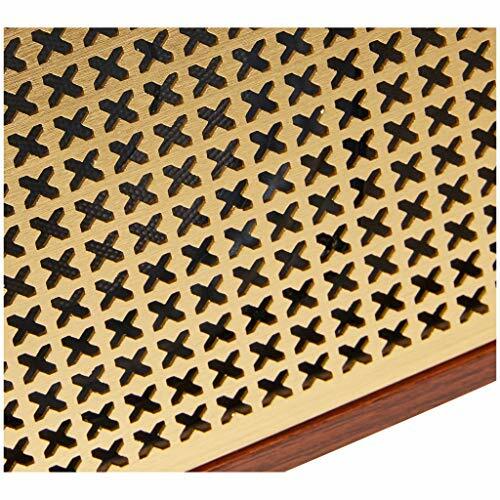 With 40 watts of power, the plug-in speaker can deliver impressive, booming sound that fills the room. 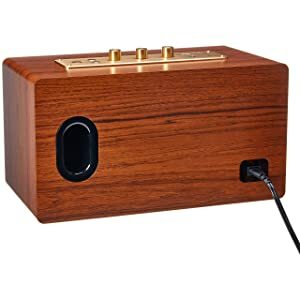 Made modern with Bluetooth technology, the retro-inspired speaker allows for streaming music wirelessly from a smartphone, tablet, or other device. The speaker offers seamless connectivity. Equipped with a handy USB port, the speaker can be used for charging devices while simultaneously streaming your favorite tracks. Charge and play music at the same—perfect whether listening alone or upping the fun factor of a party or gathering. 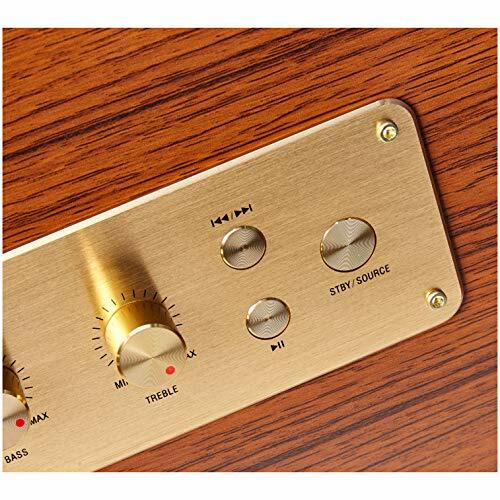 With the simple turn of a knob, easily adjust the volume, treble, or bass for customized results. 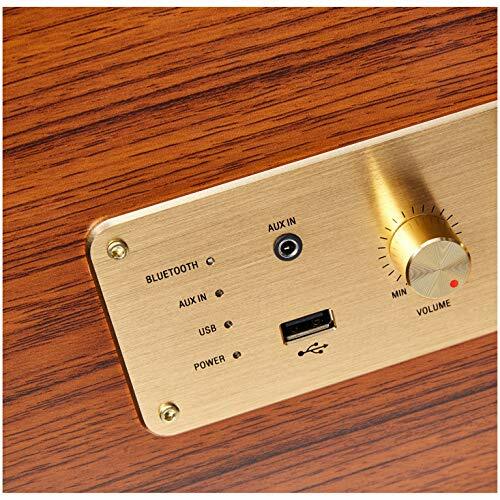 The speaker’s 3.5mm Aux In input makes it possible to connect with a mobile phone or other player with a 3.5mm Aux In jack.